Cape Town is a beautiful city, but it is impossible to spend a day without seeing poverty, hunger and homelessness. Townships are areas where the above can often be seen. People live in poor conditions (3 families in one room is not uncommon) and the unemployment rate is above average, meaning people often do anything for money everyday. Children live in squalor and basic amenities are scarce. Seeing such conditions, we decided to get together and help out in improving the conditions in any way we can. 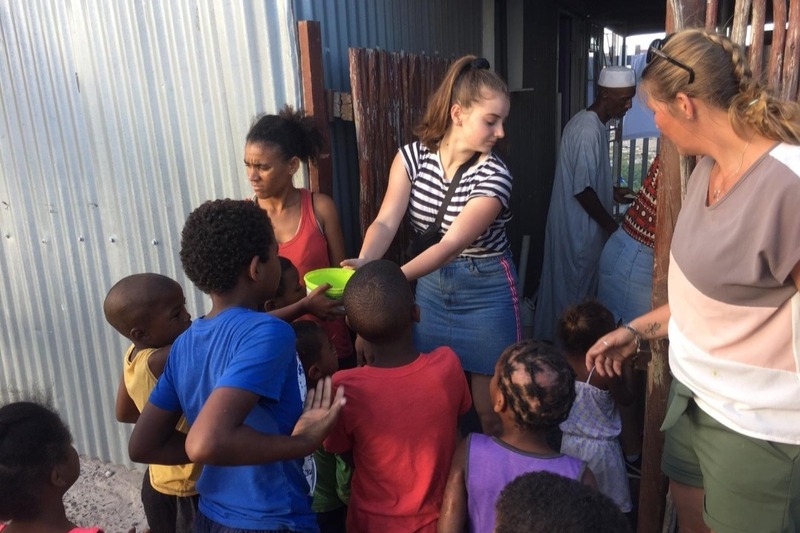 Getting in touch with a lady from a host family (a South African who looks after volunteers), we were told that our efforts would best be used in providing food for those living in the townships. There are many days where not enough food is provided for all the residents, and providing the funds would allow all residents within a Township to be fed for the evening. Any extra money would go towards items for the citizens to allow a better quality of life, as directed by our contact from the host family. Food is a basic right and a right we hope we can provide a Township for a lunch. Any and every donation will help and will go towards the funding of this project. Please give generously and we will be sure to share the results of our project.